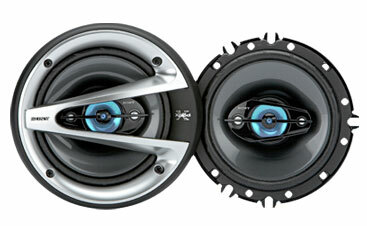 Bring your vehicle's audio to life with Xpl?d GTX Series speakers. These 6.5" 4-way speakers provide 300 watts of maximum music power. The woofer cones are constructed of Sony exclusive Highly Oriented Polyolefine (HOP), which delivers greater linearity and smoother response, while the diaphragm midrange drivers and polyetherimide (PEI) dome tweeters take care of the musical details. Depth (Approx.) : 2 1/8"
Diameter (Approx.) : 6 1/2"
Dimensions (Approx) Depth : 2 1/8"
Weight (Approx.) : 1 lb. 15 oz.